I have 25 years clinical experience of diagnosing and treating Lyme Disease in the Scottish Highlands. 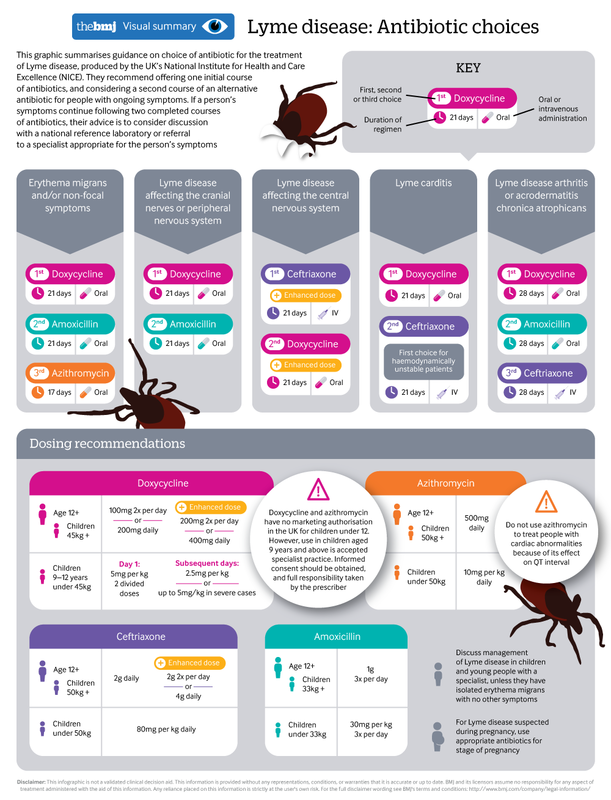 The NICE Lyme guidelines 2018 bring a welcome evidence based consensus to testing, treatment, clinical uncertainties and research priorities. However, their graphic and link to PHE documents on tick removal will perpetuate harm and cause public confusion. The NICE Lyme guidelines committee did not review the evidence base for tick removal methods. The world wide evidence base on tick removal methods is very weak, so any public education policy needs to declare that and offer first principles and clinical experience until we have the evidence. Ticks are not insects but tiny spiders. The questing nymph after its second blood meal is the stage most likely to transmit Borrelia spirochetes. They lock onto the animal, bird or human and inject an anticoagulant to extract host blood. Animal models estimated that this process takes 12 – 24 hours. The Borellia bacteria is carried in the stomach of the 10% of ticks which cause Lyme Disease in “hot spot” areas. On first principles it is agreed that squeezing the body of the tick during removal will facilitate borrelial transmission. Disease expression is dependent on the human immune response. All ages are at risk including children and the fit elderly in their gardens which are open to vectors including roe dear. Thus, public education needs to be clear and consistent. The Public Health England and NICE 2018 graphic recommends fine pointed tweezers for tick removal and this authority will be reclyed into all future advice. Fine pointed tweezers may be curved or straight. They were developed by WHO to reduce malarial transmission by flying mosquitoe insects, not tiny questing nymph spider ticks. In contrast the purpose designed plastic tick removal claw hammer style or credit card style devices have bevels designed for tick removal without squashing the tick. The outcome measure is a live tick post removal, which the plastic tools achieve. Over the past 5 years I have diagnosed 10 cases of Lyme per annum. I always ask about their tick removal method. Most people use finger nails or soap. Some use eyebrow tweezers which are handy, blunt and squeeze the tick. This facilitates borellia transmission. I have yet to see a case of Lyme Disease where the patient has used a purposed designed plastic removal twister or card. We need a generational shift in understanding on safe tick removal in affected communities and primary schools to reduce the prevalence of Lyme Disease. NICE and Public Health England in 2018 have just put that prospect back a generation by recommending tweezers for tick removal.